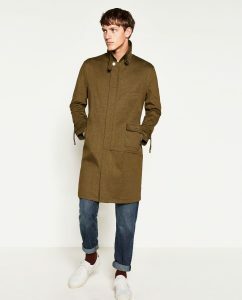 Pleasingly contemporary, this precise-feeling khaki coat from Zara feels effortlessly stylish thanks to its sharp angles and asymmetric design. Throw on over pretty much anything for instant cool. Impeccable lines and an unfussy suaveness make this vintage-hinting double breasted wool number in a large yet understated check an easy winner for a wide range of occasions, from the commute to important functions. For a more versatile and casual option this season, this leather zipped coat from Letasca ticks plenty of boxes. 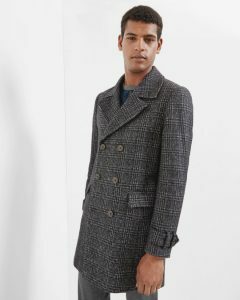 Warm, on-trend, easy-to-wear, low maintenance and understatedly stylish. We like it a lot. Keen to stay active over the chillier months? 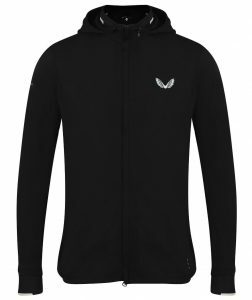 This genius piece of engineering from professional footballing and cricketing brothers is incredibly lightweight and breathable – ideal for keeping you warm and dry but not sweaty or overheated. Clever stuff. 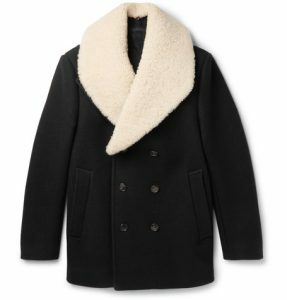 Are you on a hunt for a coat in the January sales? 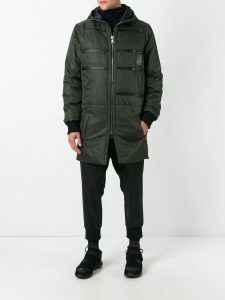 What is your favourite look this season? Have your say and share your finds below.